Financial experts share their favorite apps and resources to take the stress out of tax season. You’d be hard-pressed to find someone who loves filing their taxes (though getting that unexpected refund makes it worth the stress). 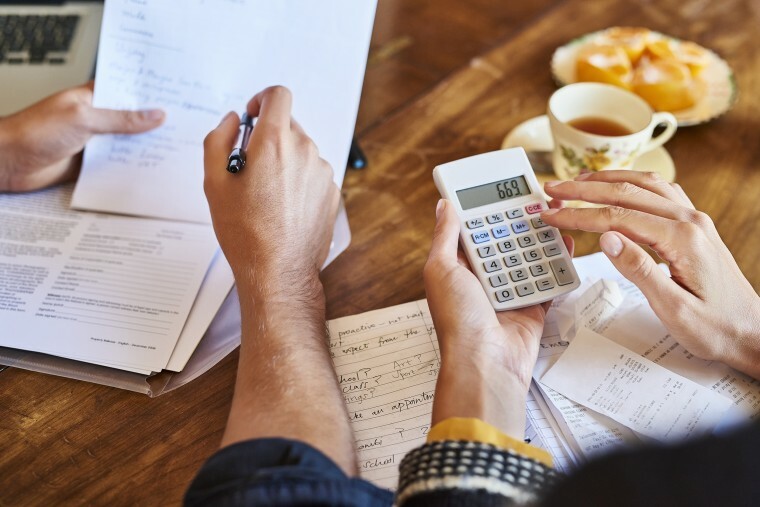 Whether you’re working for the man, self-employed or have a complicated tax scenario, know that you’re not the only one whose head starts spinning at the thought of a W2 or 1099. Not to mention that Everest-sized pile of crumpled receipts you stuffed into a desk drawer. But while filing your taxes isn’t always easy, it doesn’t have to kill you, either. “When it comes to finances, our priorities are often making money, spending money, sometimes saving money, and occasionally donating or giving money away. But we rarely keep tabs on where that money is going,” says Sharon Epperson, CNBC’s senior personal finance correspondent and host of Retire Well. She says that if people realized how much money they could potentially save on their taxes by keeping track of where their money was going — including medical, business, charity and job-hunting expenses — they’d be surprised at how quickly that adds up in tax savings. Moral of the story: be organized and plan ahead to save money (and keep your sanity in check). As April 17th nears, don’t fret. Utilize these apps, resources and tips and you’ll be able to file with confidence — and minimal stress. "FileThis is my favorite app. It acts as an electronic filing cabinet, allowing users to store and categorize documents of all kinds,” says Jill Gonzalez, senior financial analyst at WalletHub. “It makes it so much easier to find necessary paperwork at tax time, since it has the ability to pull in a lot of documents automatically when they become available.” FileThis ranges in price from free to $5 per month. Take your receipts digital with Shoeboxed, a sophisticated app that allows you to photograph and organize all your receipts into preset categories. After taking a picture with your smartphone, information is automatically extracted, and the file is sent to Shoeboxed for human-verified review. Once stored, you can search by category. Price ranges from $15 to $70 a month. If you drive for work purposes, it’s essential to track your miles. The 2017 standard mileage reimbursement rate is 53.5 cents per mile, which adds up quickly. For example, if you drove 500 miles for work, you’d qualify for a $267 deduction. You can also claim 17 cents/mile for medical or moving miles, and 14 cents for charity-related driving. Once MileIQ is installed on your phone, it automatically tracks every single drive you take without you having to press start or finish. Price ranges from free to $6 per month. Forget trying to sift through the messy sea of paperwork in front of you — enlisting the help of a professional, or software that slowly walks you through every step, can put your mind at ease. “There are some great tax software programs to consider if you want to do your taxes yourself, including TurboTax and H&R Block,” says Epperson. “The cost can vary widely depending on the complexity of your return and how much support — on the phone or online — that you require.” Some other great options including TaxAct, which is great for small business owners, and TaxFyle, which connects you with a living, breathing CPA who does your taxes online. “I charge nearly every expense that I have that is over $20 on my American Express card. Every January, I get a ‘Year End Summary’ from American Express that has the date, amount and company associated with every charge,” says Epperson. “I like the simplicity of having one document that will provide an accurate record of out-of-pocket medical expenses, home office expenses, and charitable donations that could potentially be tax-deductible on my 2017 tax return.” If you do this, you can also accrue anywhere from 1 to 2 percent cash back. For example, if you spent $35,000 throughout the year on a card that offers 2 percent back, you’d get $700. Just make sure to auto-debit the balance in full to avoid interest and fees. Separate work from play on any app that gives you the option to do so. “Create business and personal accounts on Uber, Lyft and delivery apps,” advised Gonzales. Some airlines and hotels also offer this feature. “This way you can automatically be emailed with weekly expense reports for your business trips, rather than have to parse everything out later." Again, if you’ve fallen behind schedule it’s OK. Just don't panic and try to rush things, because there's a good chance you might miss something and delay your return. “If you’re not ready to file by the deadline, you can get an automatic six-month extension as long as you file accordingly,” Gonzales says.